Reza Khandan, husband of imprisoned lawyer and activist Nasrin Sotoudeh, had continued to speak out in defense of the causes championed by his wife. 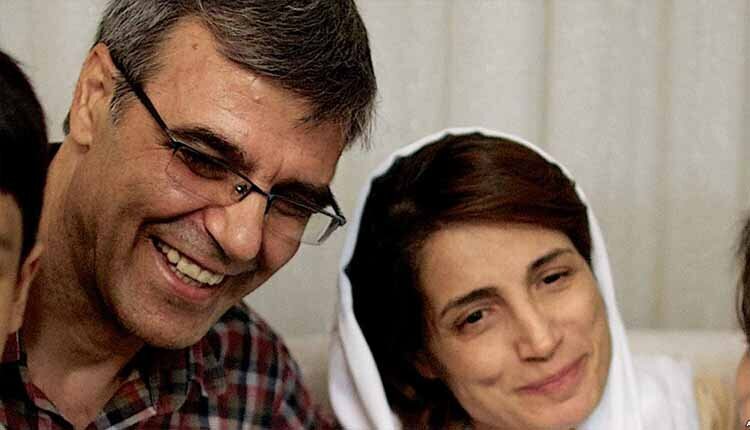 On September 4, 2018, he joined her in Evin Prison. “Gathering and collusion against national security,” “Propaganda against the regime,” and “Promoting the removal of Hijab in society” are the accusations leveled at Khandan, who was arrested in his home by security forces before being charged in Branch 7 of the Evin Prosecutor’s Interrogation office. His bail has been set at 7 billion rials (approximately $53,000 USD). “Someone called me on my cell today, saying they were from the Intelligence Ministry and saying I had to go there. No person or organization, other than judicial authorities, has the right to prosecute people, and even then, it has to be in writing,” Khandan said. Khandan said that when he pointed out that the summons was illegitimate, the caller replied that Khandan would be arrested for non-compliance. In a brief interview, Khandan’s lawyer Mohammad Moghimi enumerated pieces of evidence that authorities are using to build their case against his client, none of which he says can lawfully substantiate the charges: Khandan’s participation in a sit-in organized by his wife in front of the Iranian Bar Association office, his interviews with foreign media outlets, and pin-back buttons that were seized at his home.